Bar carts are so on trend right now. 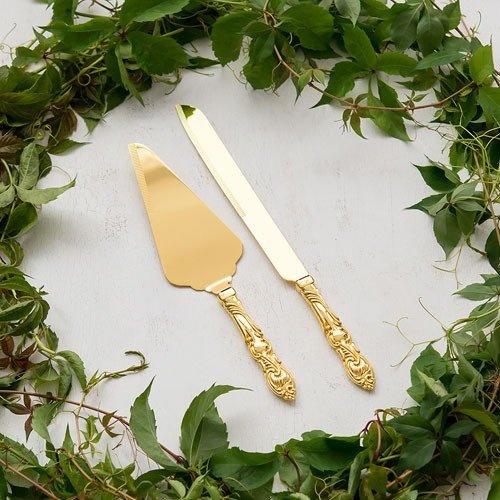 Not only are they practical for entertaining in a small space, they’re also mobile and really pretty, too. 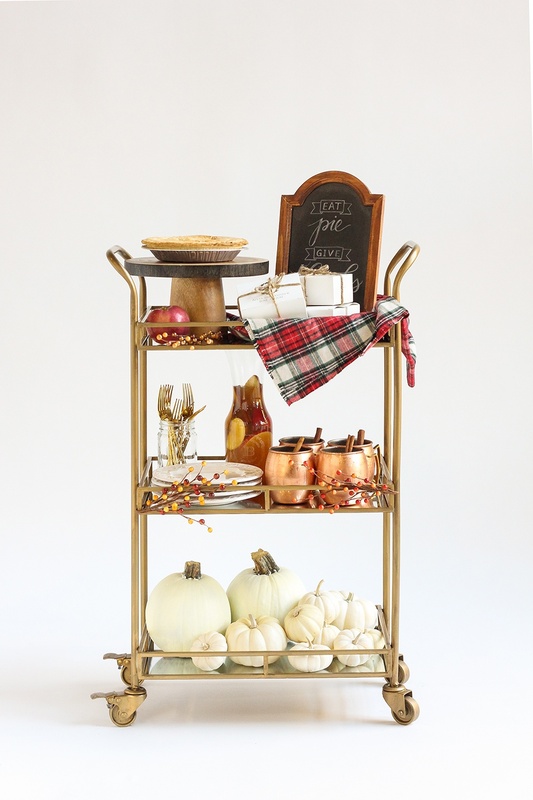 We had so much fun creating our Halloween bar cart, so we decided to create a series of holiday bar cart designs! 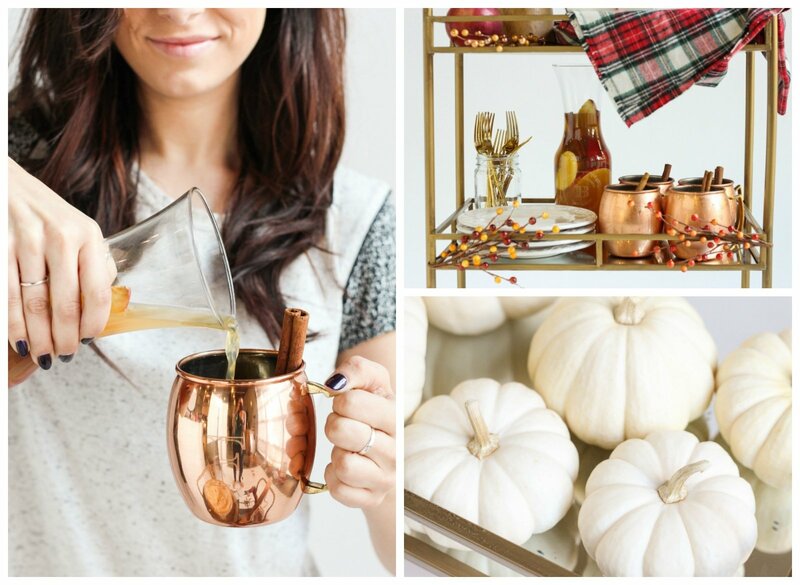 This time, we’re celebrating Thanksgiving and we can’t wait for you to see how our bar cart turned out. 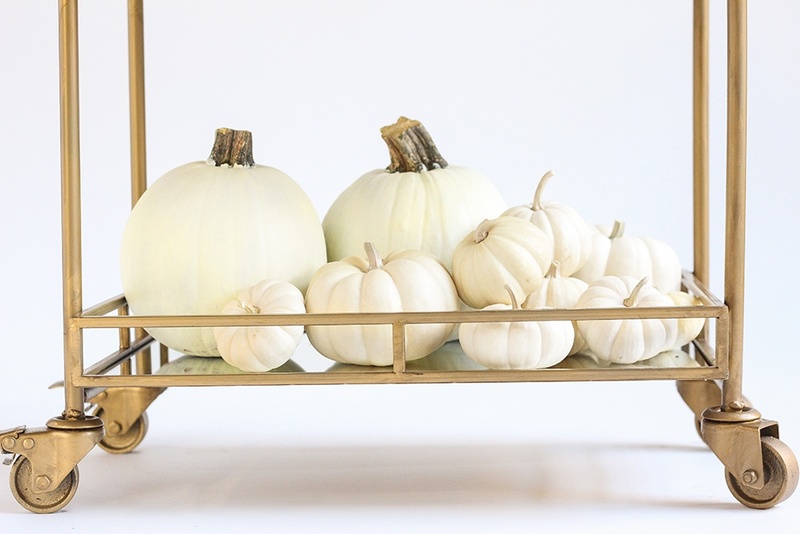 Check out the design as well as snippets about how we got inspired below and don’t forget to check out our Halloween bar cart too. 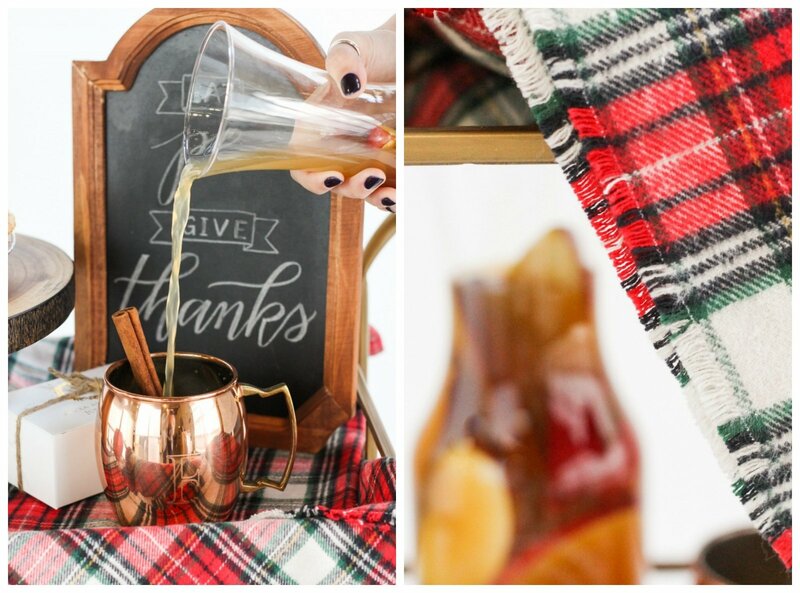 Plus, you won’t want to miss our next holiday bar cart which focuses on Christmas! Stay tuned. What better way to celebrate Thanksgiving than with a feast? 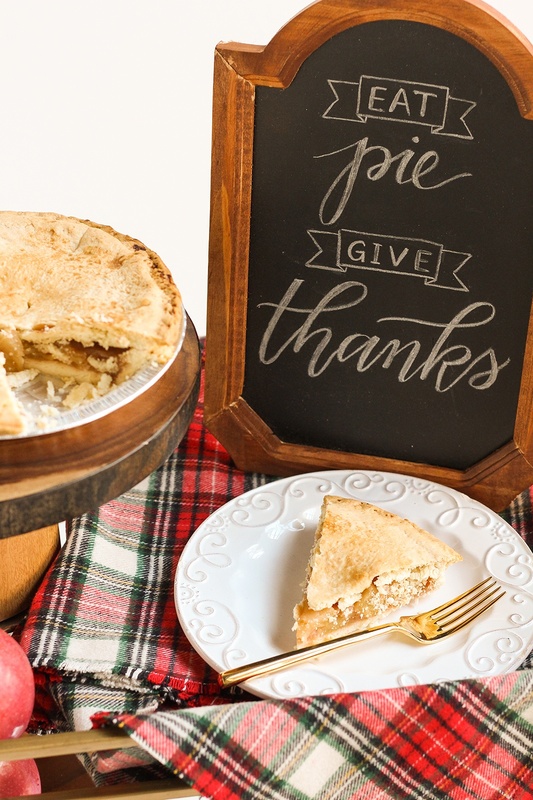 Aside from drinks as you might expect with a bar cart, we wanted to make our vision to come to life with a delicious treat that is often enjoyed on Thanksgiving — apple pie. 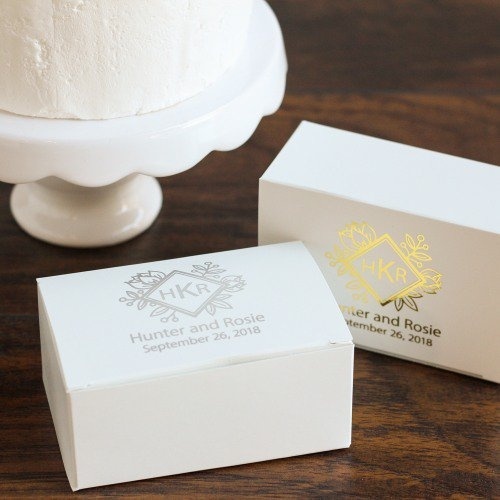 Our personalized wedding cake slice boxes (that work just as well for slices of pie as they do cake), were also a huge inspiration. 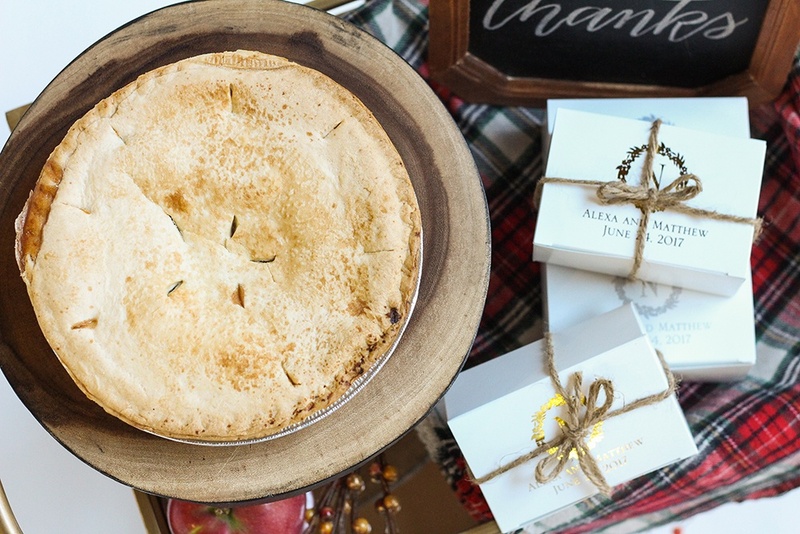 They make the perfect addition for anyone planning to take their piece of pie on-the-go. Wrapping twine around the boxes was a fun finishing touch. 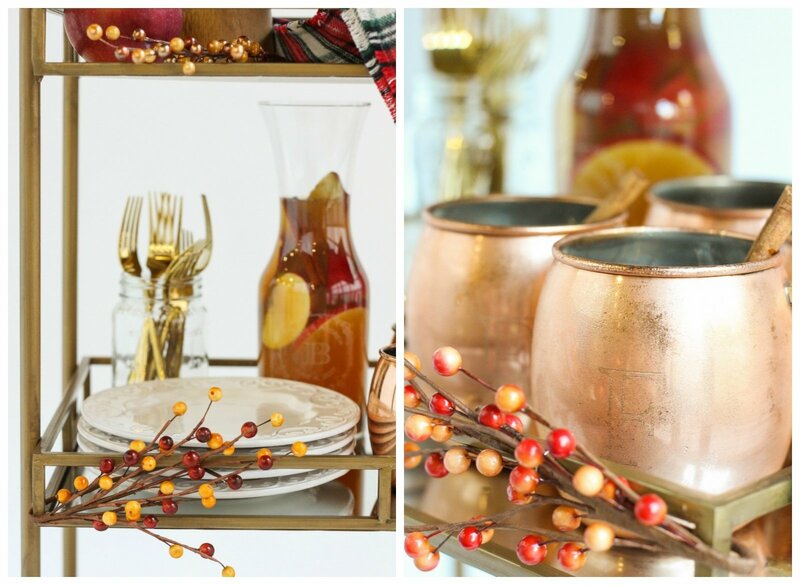 As far as the overall look, we wanted our Thanksgiving bar cart to be a mix of elegance and coziness, which we achieved by using pieces such as gold serve ware and a plaid scarf as a table liner. 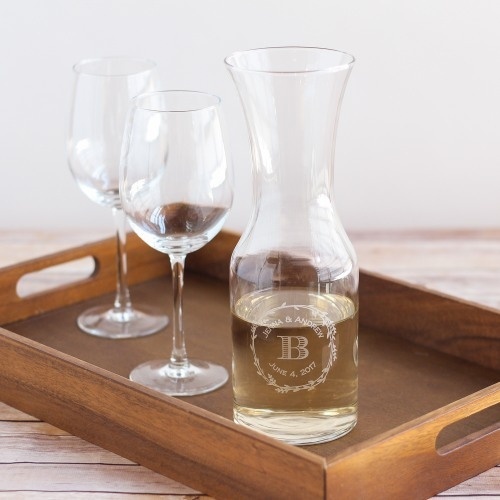 For our beverage, we decided to include homemade cider, which we put into a personalized carafe. It was the perfect way to show off all the beautiful colors of cider ingredients. 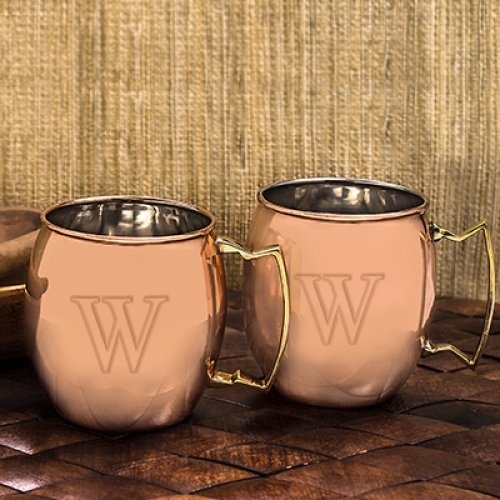 Our personalized copper Moscow mule mugs seemed like the prettiest of ways to sip on the cider and the addition of cinnamon sticks to each mug made the beverage seem all the more festive. Mmm, doesn’t the pie look delicious? It’s definitely a treat that we are thankful for. 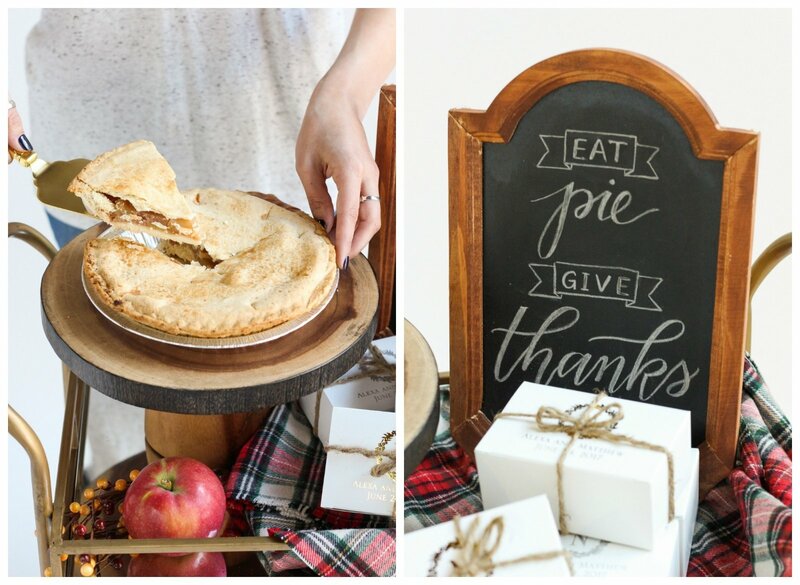 To complete the look, we decided to include a chalkboard sign, a wood pie stand, gold utensils, patterned white plates, white pumpkins, berries, and apples as decor. 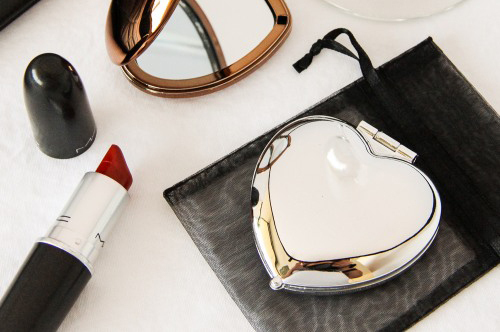 We love the way our color palette of gold, copper, red, white, and brown turned out. 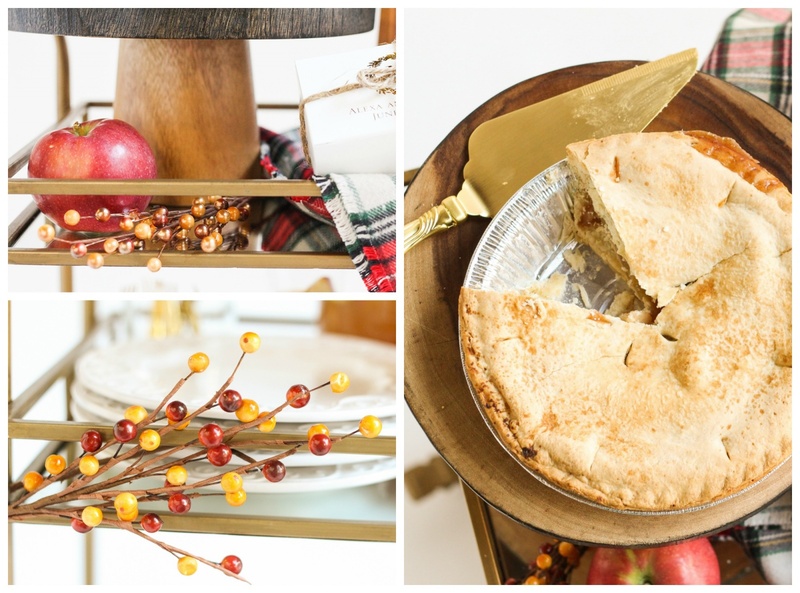 It’s natural, festive, and such a pretty combo for Thanksgiving. 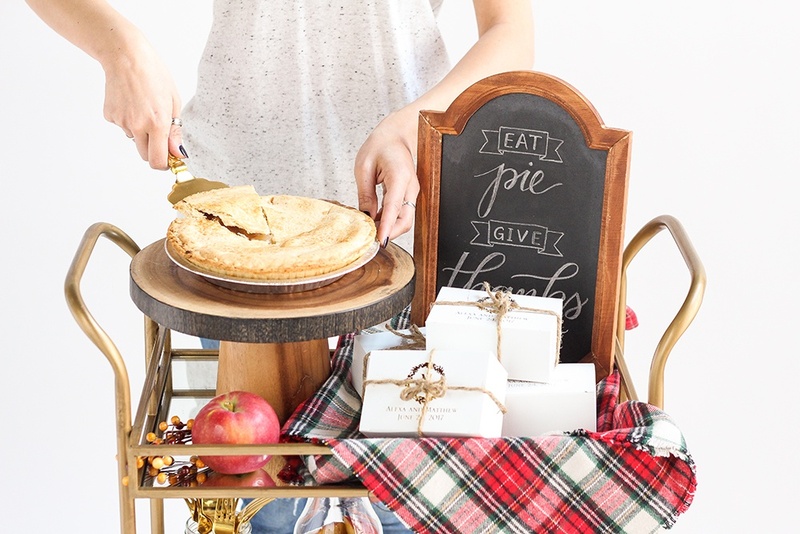 How do you think our Thanksgiving Pie Bar Cart turned out? 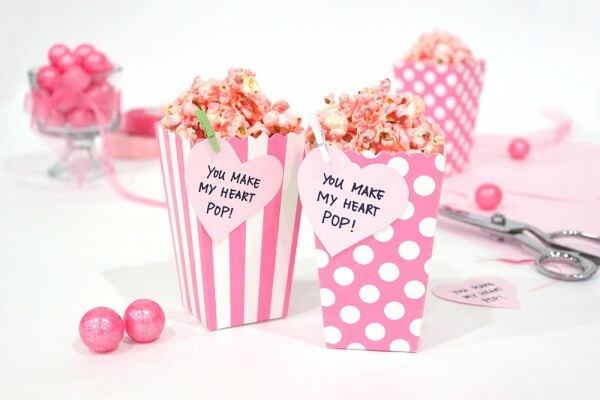 What’s your favorite part and what else would you add? Please feel free to share your thoughts in a comment below and be sure to share your own holiday bar cart looks with us on Instagram at @beau_coup.